Blaming multinational corporations squarely for tax controversies, Reserve Bank Governor Raghuram Rajan said their indulgence in avoidance and evasion results in prolonged legal battles. Addressing the issue of tax havens, Rajan wondered aloud as to what makes a bulk of intellectual property reside in Cayman Islands, quipping that no one has seen scientists in so large numbers in the Caribbean isles. “Occasionally, there is government excess, but they are not the only ones who commit excesses,” he said, delivering the 13th Nani Palkhivala lecture on ‘Strengthening the free enterprise in India’ in Mumbai. “Multinational corporations complain all the time of excessive demand about excessive taxation, but it is also true that MNCs across the world tend to find tax avoidance and sometimes tax evasion as an appropriate technique and therefore, there is a constant fight between governments and MNCs,” he said. In remarks that come within a week of Prime Minister Narendra Modi assuring all retrospective taxation such as the infamous Vodafone case being an issue of the past, Rajan said the movement on taxation within the country has been “positive and in right direction”. The academic-turned central banker said he hopes that the Bankruptcy Code gets passed in the upcoming Budget session of Parliament. The code will help facilitate credit for both large enterprises as well as smaller ones which have suffered the most under laws like the Sarfaesi Act. “It would make it much easier for the smaller firm to get credit and also allow the large firm to get credit because now there is a way for the lenders to recover the money in the Bankruptcy Code,” he said. Rajan said the government is also working on a plan to have unique IDs for businesses on the lines of the ambitious Aadhar programme for individuals, which will help establish credit histories and make it easier for the better-behaved firms access credit. “The government is in the process of creating a unique firm ID, the same way as Aadhaar, which will help us identify firms and who is the promoter and thereby get a sense of the antecedents of firms that will give credit histories, which will allow banks to lend to them,” Rajan said. He called the notion giving credit to smaller businesses for job creation in the economy as a “myth”, saying it is the large-scale firms alone which do the task effectively. Welcoming the government’s Start-Up India plan, he said there is a need to have a large number of smaller firms which are growing to become big businesses, and one should avoid creating a tendency where the entrepreneur prefers to remain small. The RBI Governor said it is essential to evolve into a place where money does the talking rather than other elements like one’s caste or religion, and added that businesses should also stop looking for special dispensations. Stressing on the need for skilling people, he said “capitalism starts at the age 21” and one should not force children to undergo excessive competition before that. Rajan said he is very optimistic about India of the present, despite the many problems it faces, saying “we have always found our way to fight the ills and emerge stronger”. “Yes, we have our weaknesses and our excesses, but our democracy is self-correcting, and even while some institutions weaken, others come to the fore. India’s is a dynamic society, ever changing, ever rejuvenating,” he said. Speaking before Rajan, former RBI board member Y H Malegam flagged the growing instances of trouble caused by fringe elements which are threatening the very idea of India, comparing it with the situation where a little man is causing a long shadow during what looks like a sunset. The government announced the schedule of Parliament’s Budget session on Thursday with a hope of getting crucial Bills related to goods and services tax, bankruptcy, and real estate regulation cleared. But the Opposition parties appeared unrelenting as the session coincides with the elections in five states — West Bengal, Tamil Nadu, Kerala, Assam and Puducherry. At the India Investment Summit on Thursday, Finance Minister Arun Jaitley expressed hope that the Opposition will “see reason” to ensure the passage of the goods and services tax (GST) constitution amendment Bill in the coming session. Jaitley said a joint committee of Parliament, which is examining the details of the bankruptcy and insolvency Bill, is expected to submit its report by the first week of March and the Bill might be passed in the Budget session itself. However, until and unless either of the two sides bows down for the sake of legislative reforms, the upcoming session might be unproductive like the previous two because the Opposition commands a majority in the Rajya Sabha. The Cabinet Committee on Political Affairs (CCPA) on Thursday met to finalise the dates for the presentation of the Railway Budget (February 25), tabling of the Economic Survey (February 26) and presentation of the General Budget (February 29). The President’s address to the joint sitting of Parliament will be on February 23, the first day of the session. The first part of the session will end on March 16, with over a month-long recess from March 17 to April 24. The Houses will meet again from April 25 to May 13. In total, the session meant for financial business of the government will see 31 sittings over 81 days. Parliamentary Affairs Minister M Venkaiah Naidu said he was optimistic that GST, real estate regulation, and bankruptcy Bills will be passed during the session. He claimed to be in touch with the Congress and other “friendly” Opposition parties. He said the government has already discussed the three points of disagreement on GST with the Congress. Naidu had met Congress President Sonia Gandhi after the Winter session in early January. However, sources in Congress said there has been no effort by the government to build bridges after the Winter session washout. The imposition of President’s Rule in Arunachal Pradesh is a sore point with the Congress. Also, all Opposition parties are preparing to corner the government on its “insensitive response” to the death of Dalit scholar Rohith Vemula. Congress Vice-President Rahul Gandhi had visited the Hyderabad Central University twice to express solidarity with the protesting students. The Congress and other opposition parties also complain of the government’s “misuse” of investigative agencies like the Central Bureau of Investigation and Enforcement Directorate. Senior ministers met leaders of all political parties to explore whether there was any demand to curtail the session in view of the forthcoming state polls. The five states are scheduled to vote for a new government between the first week of April and first week of May. Both sides were unanimous in their support for a full session. Several members of the Parliament will be busy campaigning for the state polls and their attendance in the House is likely to be intermittent. In 2011, the month-long Budget session recess had been done away with because of the elections in these states. The then government had decided not to send the Finance Bill to the Standing Committees. The recess is the time given to department-related standing committees to examine the Budget proposals of different ministries and departments. The assembly election dates are likely to be announced by first week of March. Communist Party of India (Marxist) chief and Rajya Sabha MP Sitaram Yechury said every year government should come out with a calendar of Parliament sittings so that there is no confusion. “The Election Commission will then decide the dates for elections knowing when Parliament is sitting. The Prime Minister will also know about the sittings and will remain in the House and not be abroad,” Yechury said. Author adminPosted on February 6, 2016 Categories UncategorizedLeave a comment on Have You responded to income tax notice u/s 245? To ease communication with the Income-Tax department, the government has allowed tax payers to reply to notices using their registered email address. As per the guidelines, the department will primarily issue notices or other communication through the email address provided by the assessee or the one available in the last income-tax return furnished. In case of a company, its email address as available on the website of Ministry of Corporate Affairs or the one made available by the firm will be the primary address. The assessee may furnish a letter to the Assessing Officer (AO) providing any other email address for the purpose of issuing email. “Any email, in response to the notice issued by the AO, received from the primary email address of the assessee shall be considered as a valid response to the notice,” the guidelines said. The guidelines will apply in respect of select non-corporate assessees as part of the pilot project on paperless assessment proceedings and can be extended to other assessees or proceedings as may be notified by the Board subsequently. Commenting on the move, Vikas Vasal, Partner – Tax, KPMG said the government has clarified the procedural aspects of usage of electronic communication regarding paperless assessment proceedings. “Gradually, the aim is to move most of the communication to the electronic format. Once done, it would save time and effort both of the tax payers and the tax department,” he said. Also, such a move would bring in more transparency and consistency in tax positions. “A number of tax simplification measures have been announced by the government recently and few more are expected to form part of the forthcoming Union Budget,” he added. The goal of tax planning is to arrange your financial affairs in a manner that it minimizes the impact of taxes. This should also play a major role in the financial planning and investment decisions to meet the long term financial needs of an individual. In a country like India where we do not have a social security, it is also important to secure the future of the family as a part of financial planning. With intent to promote savings the government provides various tax benefit schemes on different financial planning tools. It is extremely important for an individual to understand these benefits and align their long term financial needs in a manner which maximizes the tax benefits. How to plan for tax savings. Tax planning needs to be “planned” and have to be done with extreme care, after a detailed research and understanding of the options on offer. However, most taxpayers tend to defer this decision to March and then rush into putting their money into anything and everything with the sole objective of saving tax for the year. As a result, the returns are likely to be not commensurate to the amount invested and might not serve financial planning needs.It is therefore of utmost importance that one must do his planning in a timely manner with focus on products that can result in good returns as well as help in saving tax . Also, the product must be chosen based on their long term merits and in such a manner that multiple life goals can be fulfilled. Most insurance companies offer pension plans which provide option to save when you are earning and thereafter receive pension/ annuity based on your future needs. One can avail benefit of up to Rs. 1.5 lakh on the premium paid towards a pension plan under Section 80CCC. On maturity, one-third of the maturity amount withdrawn is tax-free. Based on risk appetite, one can decide either for a unit-linked or a traditional plan and opt for pension after a defined time frame. One of the most efficient tax planning tools is life insurance which provide financial security and good returns as well as offer tax saving benefits. There are a variety of products available and one can opt for them based on individual’s needs. Under Section 80C a deduction from taxable income in respect of life insurance premium paid is available up to a maximum of Rs. 1.5 lakh annually limited to 10% of sum assured. The deduction is available for life insurance policies, on the life of individual, his/her spouse or his/her children, while the children may be major or minor or even married or unmarried. Further, amount received from an insurance company by the nominee in the event of an unfortunate event of death of the insured individual is exempt from income tax under Section 10(10D). Also, amount received from insurance company in case of maturity, money back etc will also be exempt from tax under Section 10(10D) if the premium in respect of such policies does not exceed 10% of the sum assured in any year. With the rising cost of medical treatment, this option is a must to cover self and family from hospitalization and medical expenses. One can also claim deduction up to Rs. 25,000/- for covering health of self, spouse and dependent children and up to Rs 25,000/- for covering health of parents (up to Rs 30,000/- in case of senior citizen) under Section 80D in respect of health insurance premium. 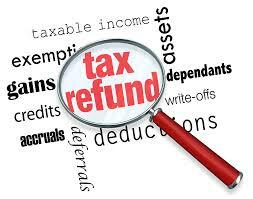 There are other investment options available to avail the benefit of income tax deduction. Some of the investment options available under the popular Section 80C of the Income Tax Act are contribution to Public Provident Fund (PPF), post office savings schemes, contribution to your Employee Provident Fund, investments in tax saving mutual funds etc. In addition, investment in house property by availing a loan has dual tax benefit. In addition to the deduction under Section 80C of Income Tax Act towards principal repayment, deduction of interest on such loan from income from house property is also available. One can invest in combination of products so as to meet different need, namely, tax saving, family protection, housing, optimum return, retirement planning and future cash flow at appropriate time. Most banks in India currently market these products and one can approach them to get the best suited products. 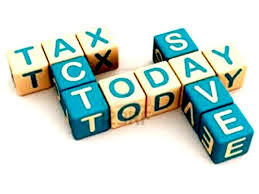 As mentioned earlier, a correct and timely tax planning helps not only to save tax in the immediate future but to optimise returns and provide financial protection to your family against any unfortunate event with you in future. Therefore, instead of waiting till the last month of the year one should start discussing, researching and investing in tax-saving avenues throughout the year. Hence, plan and invest now.